Who Are the 25 Most Innovative Consumer Companies? Who are the most innovative consumer and retail companies? CircleUp wants to hear your nominations. Please tweet your suggestions using #CircleUp25, post your nominations on your Facebook page with #CircleUp25 or post to our Facebook page. Nominations and votes will be collected until July 2. In one month, we will profile the winners on Entrepreneur: The 25 most innovative consumer and retail companies. These brands are changing how we live our lives -- from apparel, food, household products to personal care. While we hear about technology innovations every day, we often hear less about innovations in consumer and retail -- even though it comprises more than 20 percent of the U.S. economy. We want to take this opportunity to celebrate these innovations that touch our everyday lives. We will profile companies that are disrupting industries or creating new categories. New formulas, design of the product or packaging, or disruptive marketing -- each of these might help a company earn a spot on the list. The only criterion are that the company must be private, have not been on the CircleUp25 list in the past, and have no connection, at the time the list is published, with the accredited investor crowdfunding site that I founded. While I believe there are companies that have raised funds with us that deserve a spot on the list, they are excluded from participating to avoid a conflict of interest. In the spirit of crowdfunding, we want to hear from you -- the consumers, investors and entrepreneurs behind many of these businesses. Who are the companies making the greatest impact in the consumer space right now? 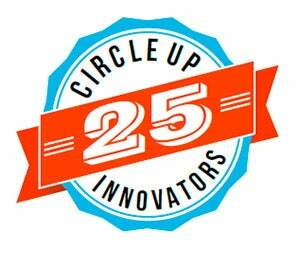 Look out for the official list of the 2014 CircleUp25 on Entrepreneur.com around mid July.